Brendon Bolton confirmed Carlton will have six club debutants in Round 1. A numbers game: Who'll be player 1200? A number of Blues will be in the selection mix for the Round 1 season opener against Richmond. The Northern Blues played out a low-scoring draw against Collingwood in a practice match. 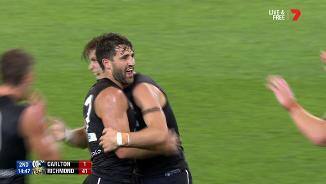 Crossing from the old enemy, new Blue Alex Fasolo has shown football fans that he’s capable of the magnificent throughout his 101 games. Averaging more than a goal a game and having played on the AFL’s biggest stage, the mercurial Fasolo will add some scoring nous and valuable experience to an emerging group. At 26 years of age, the 181cm forward will add a different avenue in a forward line full of young talent. 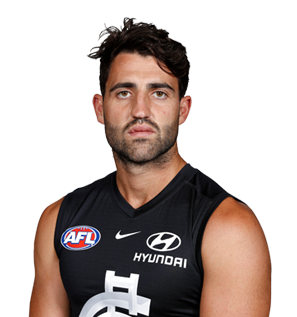 Draft history: 2010 NAB AFL Draft 3rd round selection (Collingwood) No.45 overall.